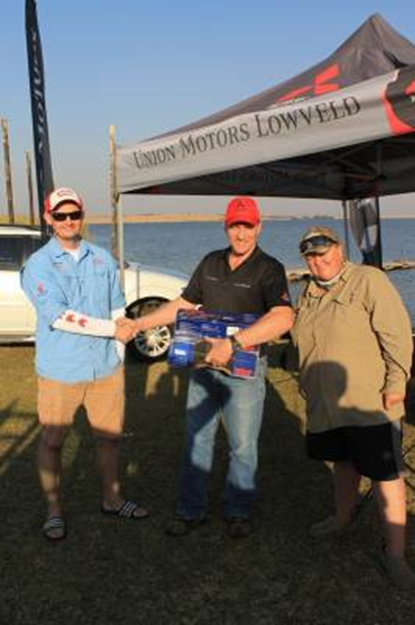 Nicky Stapelberg and his brother combined for a 2,945kg five-fish-limit, to secure Team Bullet’s second win in three tournaments, and the R5’000 first prize. The win at Vygeboom Dam saw them jump two places in the overall standings to third on the log. Above: Frosty weather conditions forced anglers to work extra hard to boat those five bass. 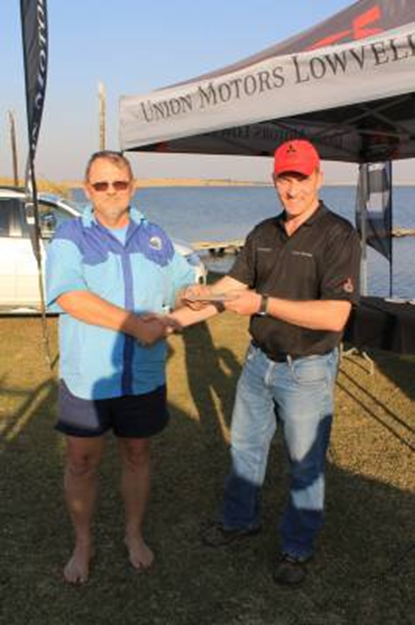 Machado Boat Club was the launch and weigh in locale for the fifth round of the Lowveld Bass Trail. Despite the frigid weather, a respectable twenty seven boats arrived for the mid-winter event. The conditions were pretty tough, with relatively small bags being weighed, and only 48% of teams managing their full quota of five bass. 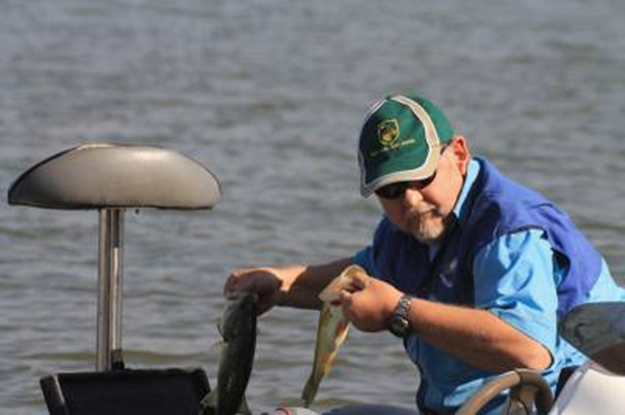 A total of 85 bass were weighed at an average of 0.427kg per fish, and 3.1 fish per boat. Above: Nicky Stapelberg bagging what would end up being the winning limit of the day. Our very own Team Angling & Outdoor finished in 4th with a 2.565kg five-fish-bag (just 380 grams off 1st) courtesy mainly of the SPRO Aruku Shad. As conventional wisdom dictates, most teams opted for slow, subtle presentations thanks to the weather turning frigid, but knowing that reaction baits properly catch coldwater bass, Team Angling & Outdoor went looking to elicit reaction strikes. If you’re looking for a good way to catch moody winter bass, look into the SPRO Aruku Shad. It flat-out catches ‘em. Above: Michael Cronje and Felicity Carey collecting the prize for fourth. Above: Nicky Stapelberg of Team Bullet accepting the winner’s prize. 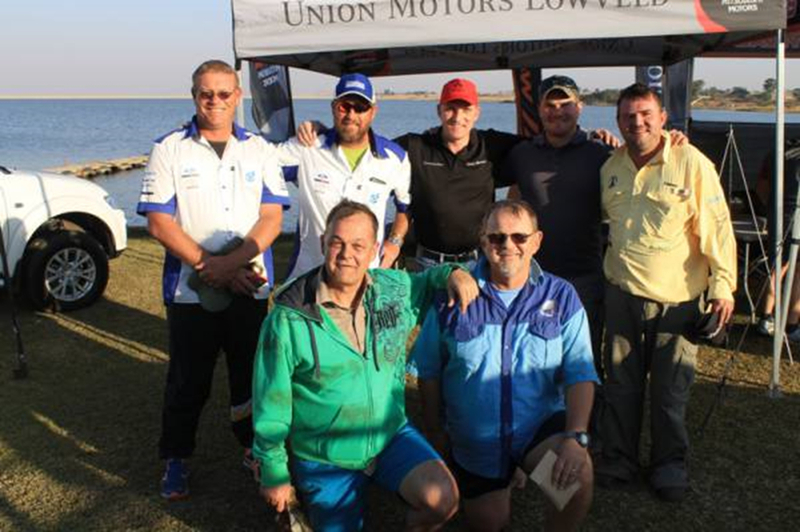 Congratulations to all the winners, and a special word of thanks to Machado Boat Club, and in particular to Johan vd Spuy of Team Boeta, for making the venue available for the day. Without your effort, and the involvement of all the sponsors, the tournament wouldn’t have been half the success that it was. The next event will be hosted at Injaka Dam on the 12th of July. For anybody wanting to compete, the event will start promptly at 7am, with the skippers meeting at 6:45am. The committee have requested that everyone please be at the venue on time as launching 30-odd boats at Injaka always takes a bit of time. Take a second to prepare your boat before getting in the queue to launch. Loosen the boat and put in your plugs so you don’t keep everybody waiting on the ramp. Above: The top three teams. Team Bullet in front. Left back: Brayshaw Filtration. Right back: Imbongolo. The log standings are incredibly close at the moment, so for each team in contention of making the final in October, it is of utmost importance that they fish, and do well, in each of the remaining three rounds. 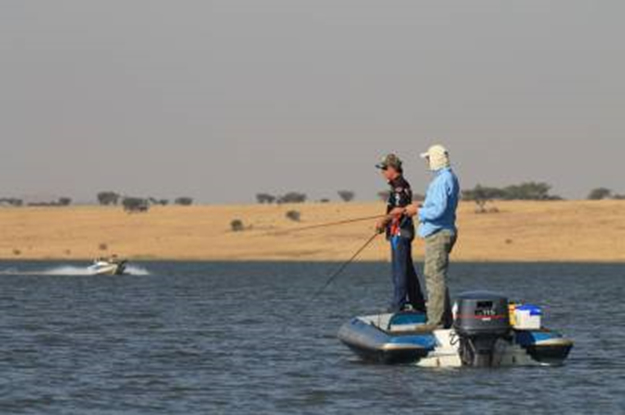 This year the committee will make no exceptions, and only the top 15 teams at the end of the eighth round will be invited to fish the two-day final at Maguga Dam in Swaziland. In an interesting twist, each team’s worst two competition results will fall away, meaning that only their best six results will count toward the final table. If a team has fished less than six competitions throughout the season, the amount they have fished will count toward the final standings. This is obviously an advantage to the teams making an effort to fish as many events as they can, as they’ll have more chance to accrue good competition results. Team Angling & Outdoor would like to extend special thanks to Angling & Outdoor World, Suzuki Marine SA, Netbait, Salmo, JJ’s Magic, Penetrator Hooks, Pro Tungsten, Goya, Seaguar, Halco SA, Lowrance SA, Big Bite Baits, Spro, Norman Lures, Strike King, Z-Man, Mustad, Berkley, Abu Garcia, Okuma and Rod Glove, whose products are making fishing the LBT this season a pleasure.